By submitting this form you are not performing a reservation. You are performing a reservation request . Soon receive an email with the answer to his request . Thank you very much for trusting CAMPO DE ESTRELAS . 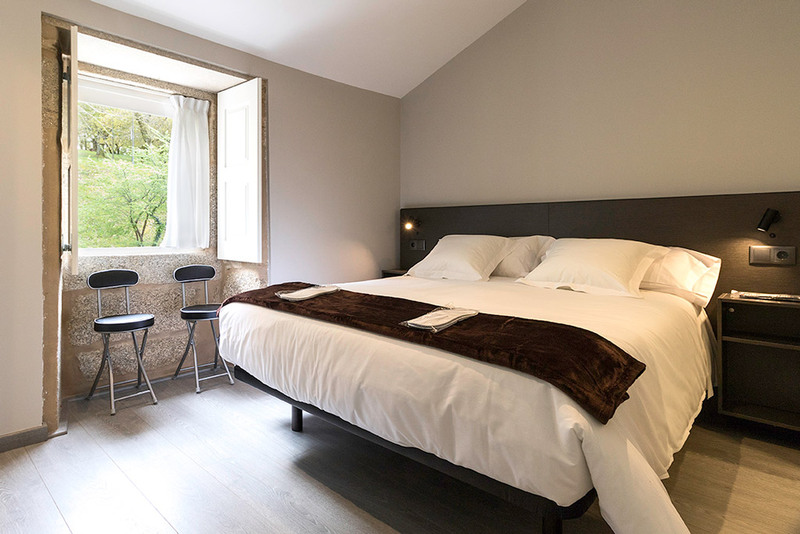 “Campo de Estrelas” is a cosy and comfortable 2-star hostal in the city centre of Santiago de Compostela, perfectly situated in the town near the park Alameda and only a five minutes walk from the famous cathedral. The hostal housed in an attractive 19th century building was entirely renovated in time for the 2016 season. 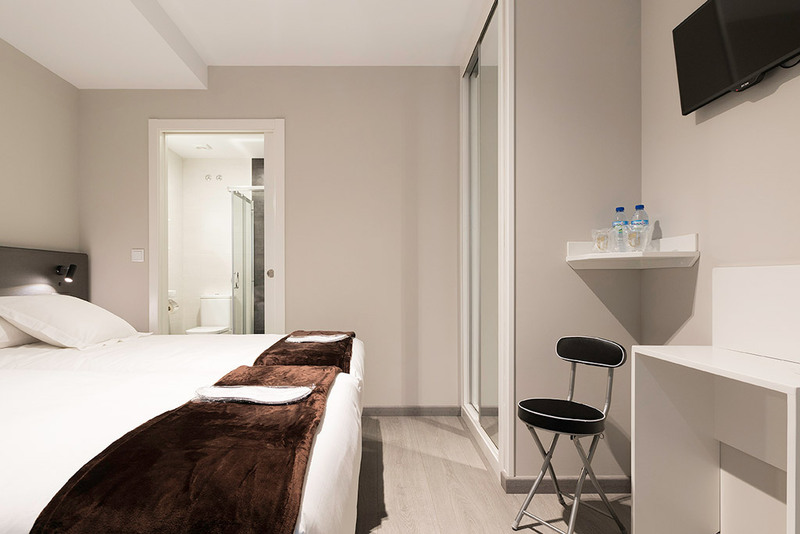 A more than perfect choice if you look for a nice and unforgettable stay in Santiago de Compostela. The hostal offers seven spacious rooms with privileged views of the cathedral or the “Alameda” park. All of our rooms are ensuite, provide free WIFI, flat TV screen, silent fan,heating, private toilet and shower, and all the bath amenities, towels and sleepers. We can also provide hair dryers under request. Extra beds and baby cots are not available. We also provide taxi and car/van rental services. Surrounding the hostal you may find all kind of services as public and private car parks, restaurants, coffee shops, post office, taxis, bus stops, pharmacies and hospitals, etc. The hostal offers spacious and bright exterior rooms with a flat screen TV and a full-size bed. Each room has an own bathroom with shower, towels and guest amenities. The hostal offers 2 single rooms with double bed and 1 double room with 2 single beds, flat screen TV’s… All the rooms has an own bathroom with shower, towels and guest amenities. The rates are ORIENTATIVE, and include 10% VAT rate. BOOK WITH US OR CALL OUR PHONES AND YOU WILL GET A DISCOUNT!